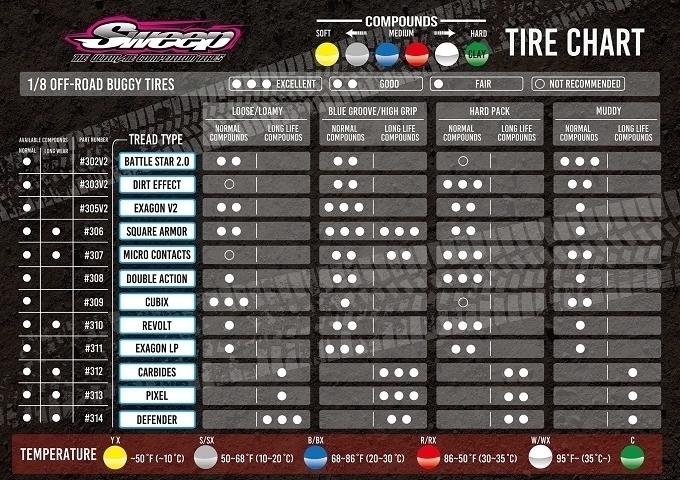 Sweep Racing USA PIXEL 8th Scale buggy tires BLUE dot, BEST TRACTION! LAST LONGER! RUNS by CHAMPIONS! Pixel. 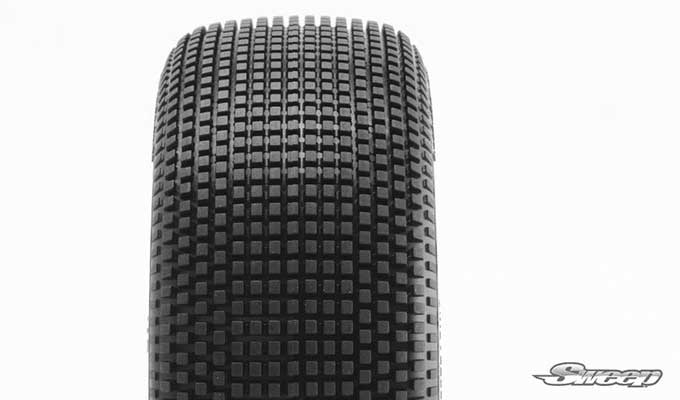 With a square pin tread design suited for demanding hard wearing tracks that require long lasting rubber. 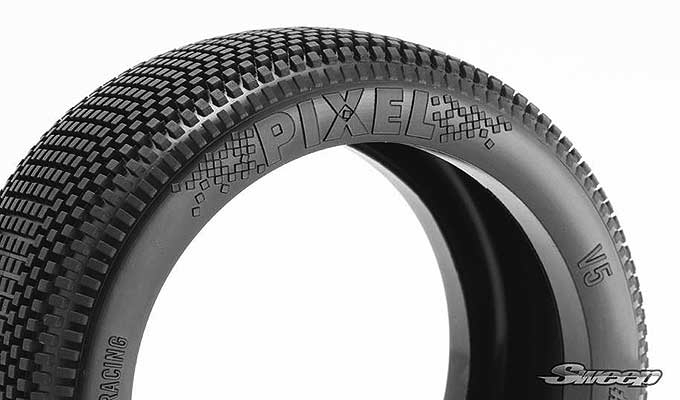 The Pixel tyre also features Sweep?s bigger and wider V5 core design which reduces ballooning even further than our past cores, the V5 Core have a bigger footprint on track surfaces whilst also delivering a comfortable level of handling. Long life, high grip, makes great harmony for our new Long Life X compounds. 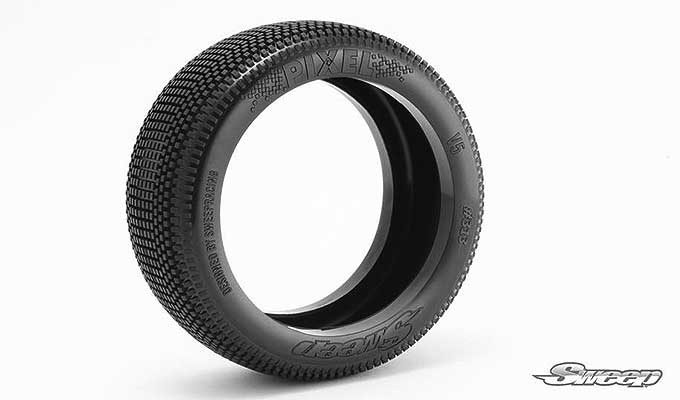 Yellow: Extreme Soft compound for Maximum traction.